Today, we paid just £0.12 each for the metro to get to the Eurovision Village, because why not visit it?! 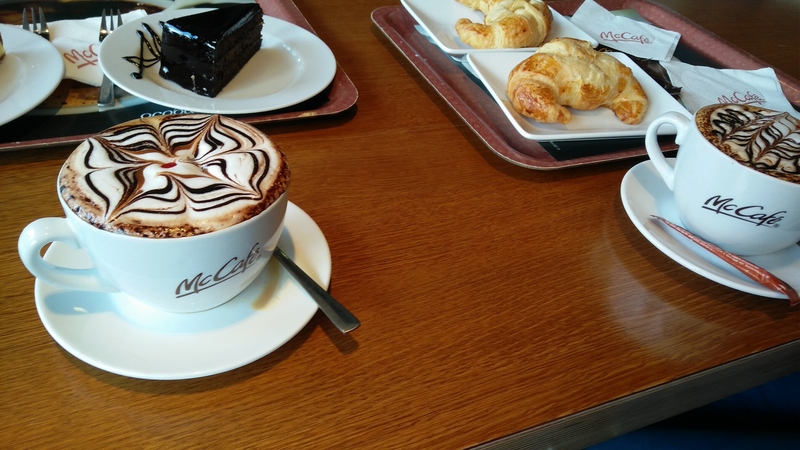 We stopped in McDonald’s for an awesome breakfast, too! We are doing the blog now as we have a 20 hour train journey to our next place, so making sure it gets done! We are heading to dry some clothes that we washed and then to the Eurovision Village, followed by going back to the apartment and collecting our bags, then heading down to the train station! 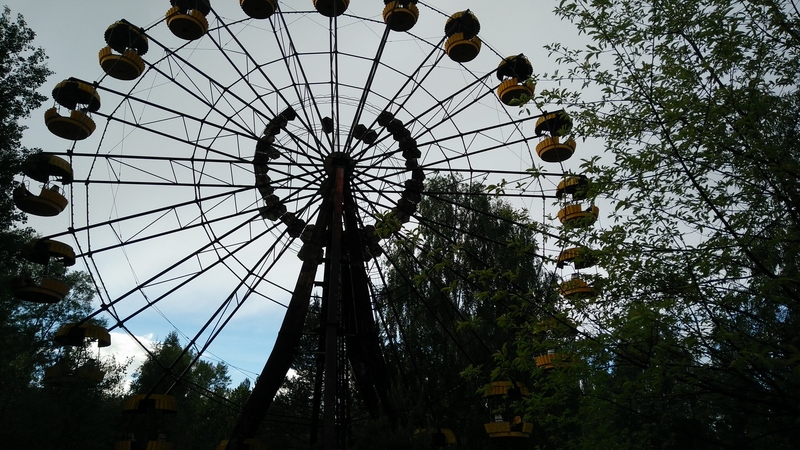 Today, we had a Chernobyl tour! We had to be up for around 06:15 and then had a 45 minute walk to the bus stop! We arrived at the bus stop early enough to be able to pop to McDonald’s for a (VERY CHEAP) breakfast! 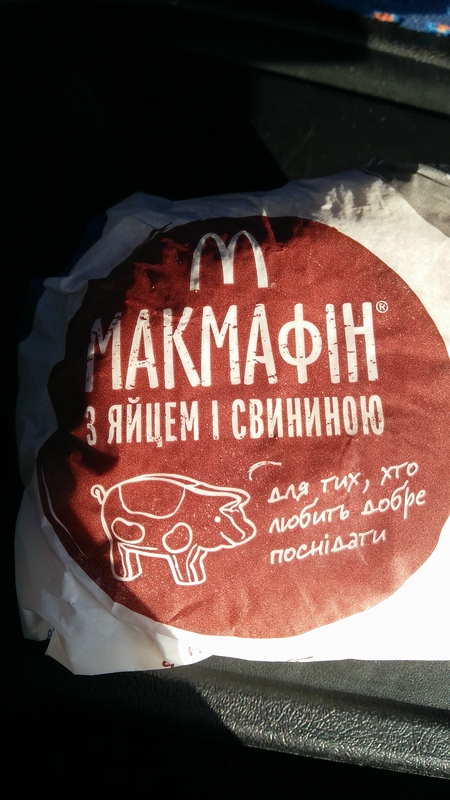 Also, the wrapping is obviously in Ukrainian and looks awesome! During the bus journey, we were speaking with some Swedish people, as well as some people from other places and we realised that EuroVision is currently on in Kiev, so most of the bus were in Kiev for that! We had about a 2 hour journey to the 30km exclusion area, as well as passport control. Once we arrived through passport control, we stopped at a town called Zalissya. Zalissya was our first stop and certainly one of the best! We were able to walk around all of the remaining buildings and go inside them, take whatever pictures we want and really get a feel for the abandoned village! 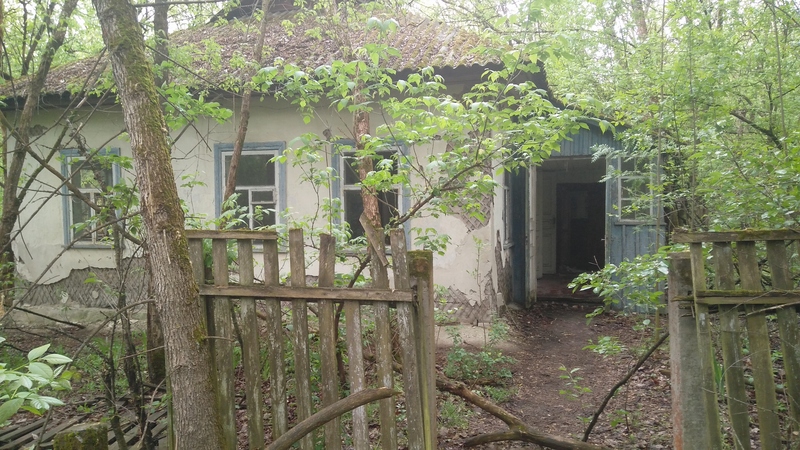 There was an old lady that lived in the village up until 2015, and so it has only been officially abandoned since her death in that year! She refused to move out when the evacuation happened, and so lived alone until she died. Inside this village was everything that could be required. A doctors, houses, village hall and a church. Next was the actual town of Chernobyl. This town is actually inhabited today, and although not many people live there are workers there such as the fire department and administration workers. The town is mostly like any other Ukrainian town as it’s still being used today, but there are still abandoned buildings around. Chernobyl was cool to see and visit, as obviously it’s called Chernobyl, but as it is a working town, it’s not much different from Ukraine. 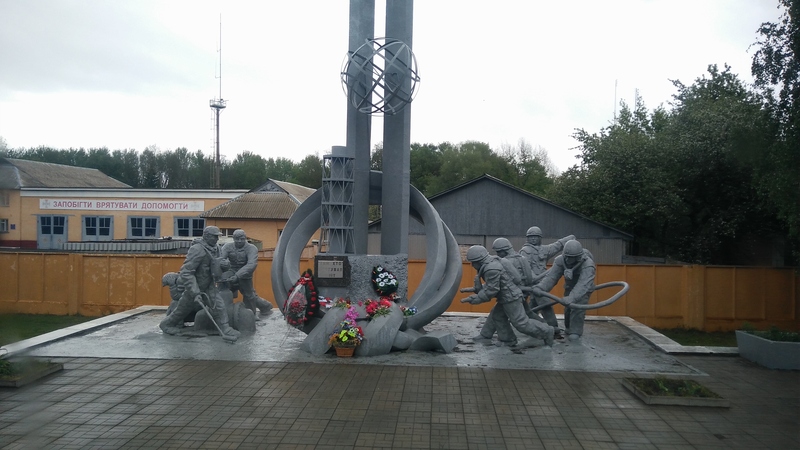 Duga Base was a hidden secret military base just past the town of Chernobyl. 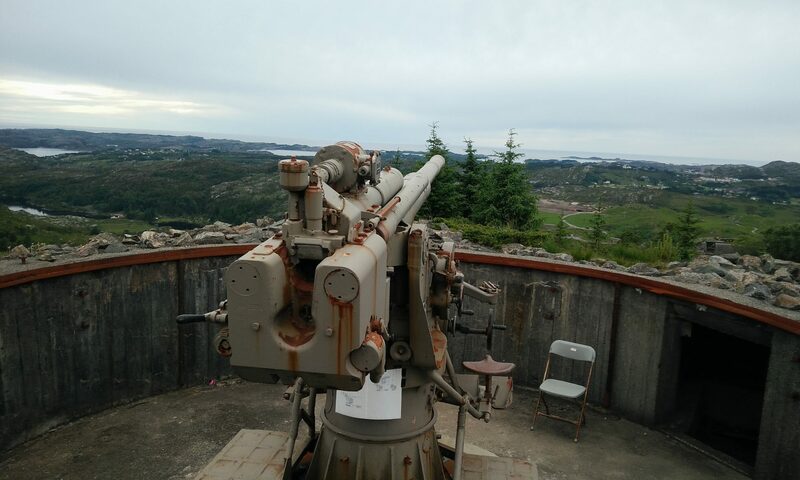 This place was used for a missile detection radar, which was built to detect missiles from the USA. 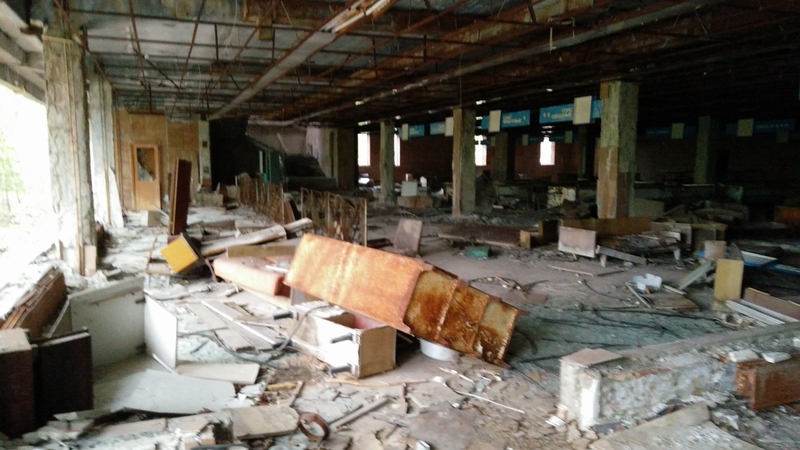 Next was the main area which most people think of when they think of Chernobyl. The nuclear plant. In all honesty, the plant isn’t that interesting to visit. The sarcophagus has been converted by a new metal structure so now that all that can be seen of reactor 4. There will be a photo of this on Facebook, but it’s nothing special. There are still workers working in ChPP, around 3000. These are contractors who are finishing the new structure which was placed over the 30 year old sarcophagus, which is there to make it safe for 100 years, during which time, the old sarcophagus will be dismantled. There is nothing much to report from here, except that it is the most radioactive part of the exclusion zone! This was the forest in which a lot of contaminated materials were be buried. Prypiat, the closest and most affected city to the power plant, was by far the best experience, for many reasons! There’s far too many photos for this blog, but we got some incredible photos. This town was abandoned due to the radiation from the disaster, all 45000 people had to be evacuated and were in under 3 minutes! Now, the town is not inhabited, but it’s still incredible. There is a stadium and amusement Park which were never officially opened but we’re due to be opened just a few days after the blast. 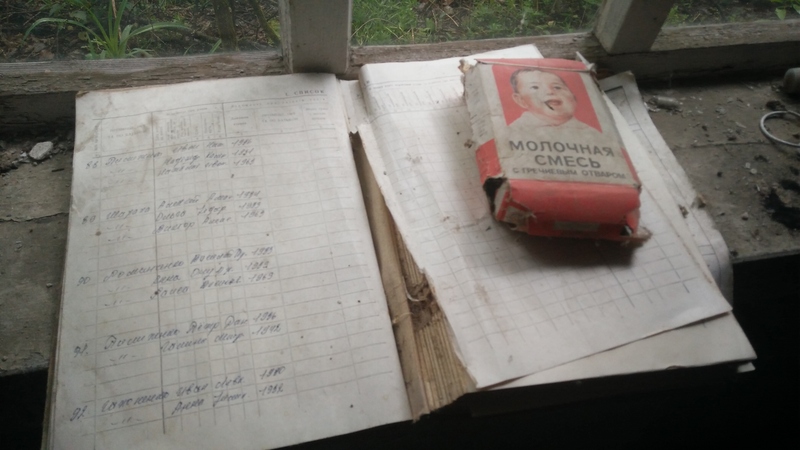 Prypiat was a different town to most. 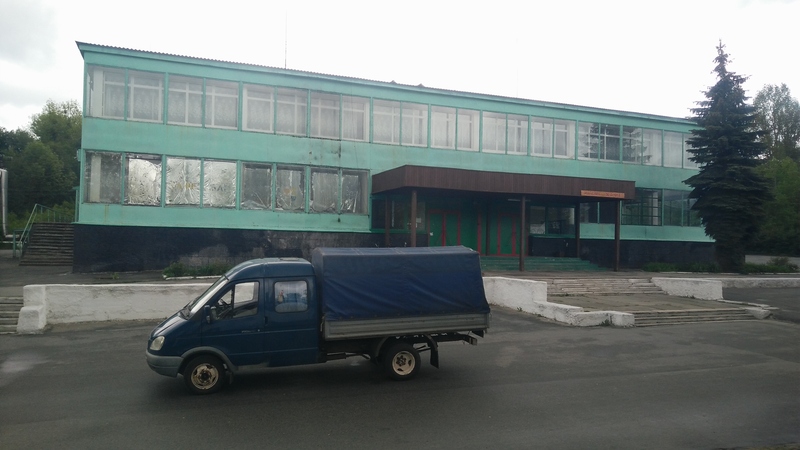 This town was large and had small amounts of capitalism, which was unheard of in the USSR. People could buy pretty much anything from the supermarket, which was not possible elsewhere due to government restrictions. The town was known as a ‘model city’ and excursions would take place to Prypiat like they would today! The town was built alongside the power plant for a place to house the workers of the plant. Therefore, it was created in just 1970. As mentioned, we have many photos and videos of the tour, but not all can go on the blog! They will be on Facebook soon! 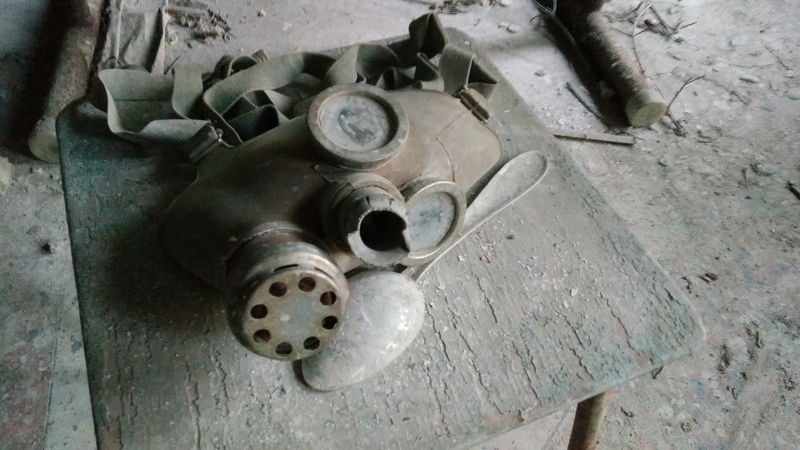 I guess you could say we were lucky, but we ended up getting stuck in Prypiat! Our bus broke down when we went to leave, so we had to wait for a new bus to arrive.. 2.5 hours later! 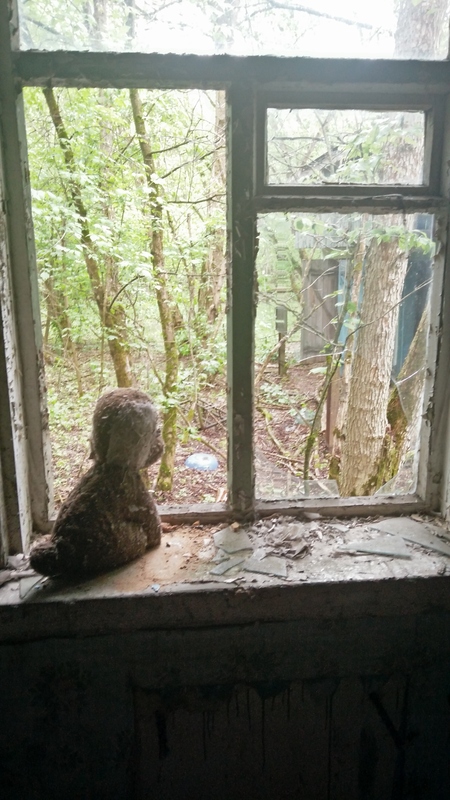 So, one of the guides said he would show us more of Prypiat while we wait. We had to sign rules when entering the exclusion zone and one of the rules was that we do not enter buildings. During our ‘extra tour’, we entered many buildings, which was incredible! We saw the swimming pool, a cinema, the Theatre, the gym, an apartment building and the roof which had an amazing view including the reactors and the satellites! We had a good 2 hour extra tour of going inside buildings like the above as well as schools and other places. This was an amazing experience and the breakdown made it even more incredible! What was cool too was that as a ‘sorry’ for getting stuck, we were given goodie bags when we got back to Kiev including a small bottle of Vodka (Водка), some food and some water, which was a lovely gesture! Be sure to check out all the photos on Facebook in the next few days! This is why we came traveling. 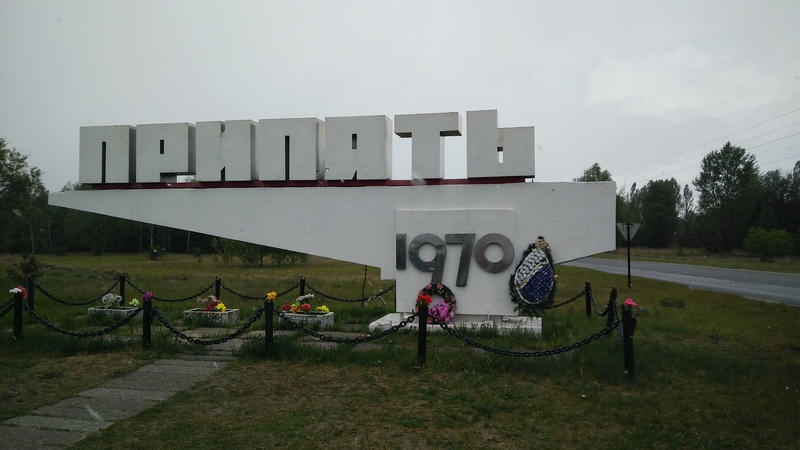 Place 10 – Day 1: Киiв 🇺🇦 – Worst Bus Journey Ever! We got on the bus at about 21:00, thinking that we’d be leaving at 21:00…How we were wrong! We were waiting for a few people to stop their argument with the driver, so we didn’t end up leaving until around 21:45. We had a kid and his mum sat next to us and just 2 plug sockets for the whole bus… That basically put using ‘mobile devices’ out of the question! Well, that and the wifi was terrible and most of the time didn’t work! Behind us were a German couple (believe they were actually from Austria, but yeah) who decided that being drunk was a good idea for an 18 hour bus journey! The man was talking loudly and then the wife would get annoyed and shout at him. This went on for a while! We managed to get about 6 or so hours sleep, despite the man and woman throwing up and being loud! We had to stop at a boarder check, get off the bus and complete the check, then drive 2cm down the road for another check. Once we were in the Ukraine, the time flew. It’s an interesting place, it’s the first place that is a lot different to the UK. We had to figure out where to catch our bus to get to our apartment, which takes about 35 minutes to get to the correct street and it was very crowded! You walk on and just throw money at the driver’s area, and he passes change back. Very odd! 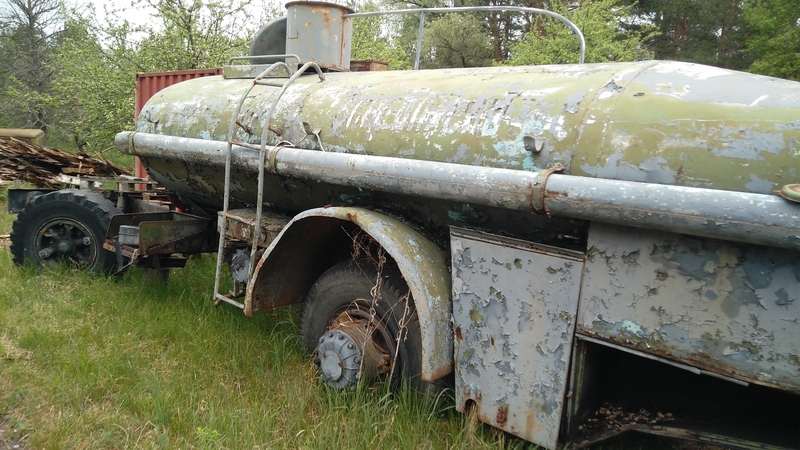 The busses are also very old and broken, it feels a lot like what we think Asia will be like! 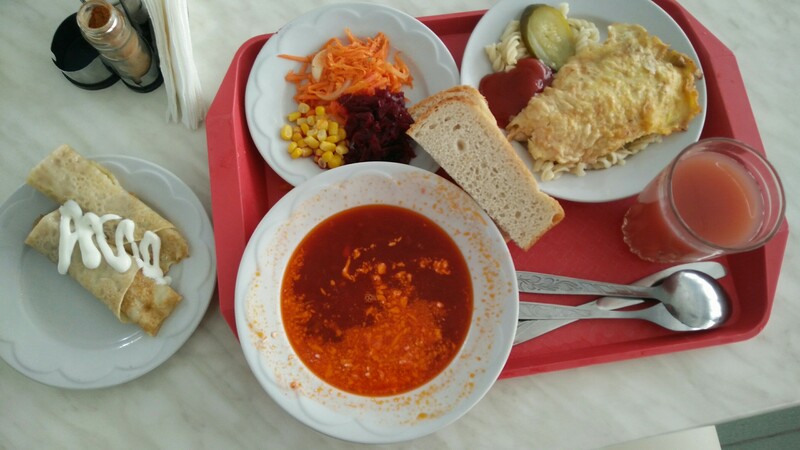 Tonight then plan is to get some food, maybe walk into the centre, find where we need to go tomorrow for our fun plans and also find the train station so we are able to get tickets for the train to leave Ukraine when we leave.